God has purposed that this heavenly Church, the Body of Christ, should be expressed here on earth. In each locality, believers are to assemble regularly with other believers for prayer, worship, fellowship, and teaching from God's Word. These assemblies of believers are called "local churches." 2. The local church, which is an assembly of believers here on earth. Now let us see what the Bible says about the first local churches. On the day of Pentecost, there was only one local church—the church in Jerusalem. Later on, we find that there were churches in many cities. 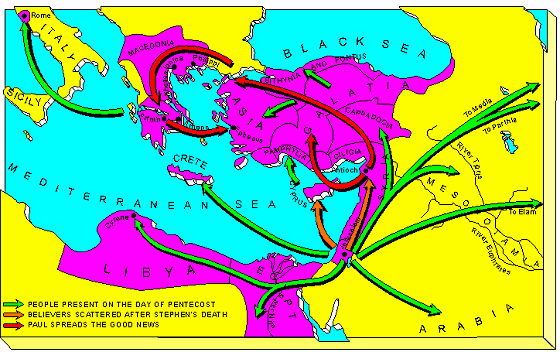 Because of persecution, the believers in Jerusalem were scattered into other cities and nations. Wherever they went they preached the gospel. The Apostle Paul was sent on several missionary journeys to preach the gospel. So the gospel spread, and many people believed and were saved. When a number of people in a city were saved, they became the church in that city. Thus the Bible speaks of "the church in Antioch" and "the church in Corinth" and "the church in Ephesus." Each of these local churches was a true expression of the one Heavenly Church. 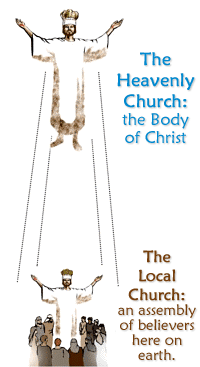 Christ was the Head of each church, and the believers formed His body. Thus, in each locality, Christ was able to express His life through the church in that place. Where did the believers meet? When did the believers meet? In the Old Testament, the Jews were commanded to observe the seventh day, Saturday, as a holy day. The New Testament tells us that, as Christians, we are to regard every day as holy; however, we meet on Sunday, the first day of the week, because the Lord Jesus rose from the dead on this day. 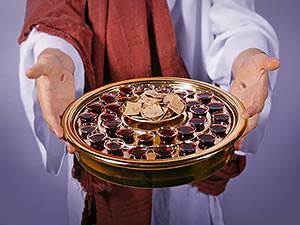 The Lord Jesus gave His church two ordinances: (1) Baptism, and (2) the Lord's Supper. We observe these same two ordinances today. We want to consider the meaning of baptism and the Lord's Supper, but first, what is an ordinance? 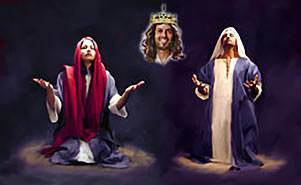 An ordinance is a ceremony ordained by Christ which pictures a spiritual truth. It is something we can see and feel which symbolizes a spiritual truth. 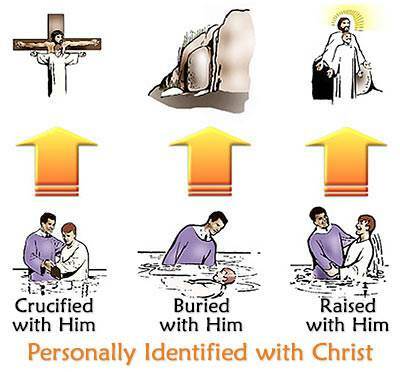 Baptism is a ceremony which pictures our union with Christ in His death, burial, and resurrection. When we stand in the water to be baptized, we testify to the fact that we have been crucified with Christ; when we are placed under the water, we picture our burial with Him; and when we are lifted up out of the water, we picture our resurrection with Him. The Lord Jesus commanded every one who believes on Him to be baptized. By baptism we give public testimony to the fact that we belong to Jesus and that we are united with Him in His death, burial and resurrection. Now let us consider another great truth which concerns all believers. All believers are "priests unto God"
In the Old Testament, we find that there were men who were called of God to be priests. The priests had access to God and they served God. It was a great honour to be a priest, but only the men of one tribe—the tribe of Levi—could be priests. Those who were not priests could not approach God directly; they could not make sacrifices to God directly; they could not serve God directly. Everything had to be done for them by the priests. Even the priests themselves had to have a high priest, and he alone could enter the most holy place where the glory of God dwelt. 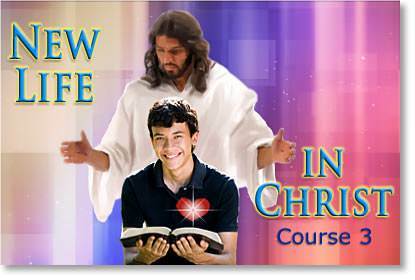 Thus, we see that the children of Israel were divided into two classes: (1) the people of God and (2) the priests of God. 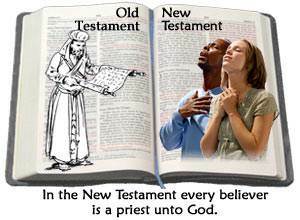 What does it mean when we say that every believer is a "priest unto God"? 1. First it means that we can come directly to God. 2. Second, it means that all believers should serve God. Our first responsibility as Christians is to love, obey, and serve the Lord Jesus. Every believer should be a worshipper, a Bible student, a soul winner—one who serves the Lord Jesus Christ. 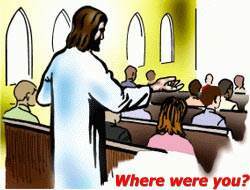 Now let us consider an important question concerning the local church. How does the church function? What was Paul saying to these believers? He was saying, "You are the body of Christ in Corinth. Christ is the Head, and you are His body through which He expresses His life in the city of Corinth. You must recognize this great truth—that you are Christ's body—and you must work together as the body of Christ." What was true of the church in Corinth should be true of every local church today. 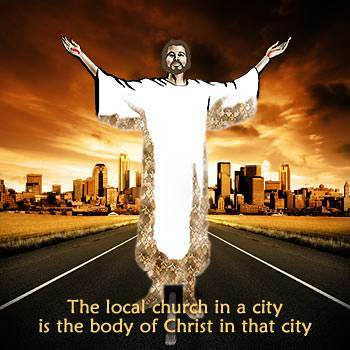 The local church in a city is the body of Christ in that city and it should function as a living body. Now, let us think of four great facts concerning how a body functions. 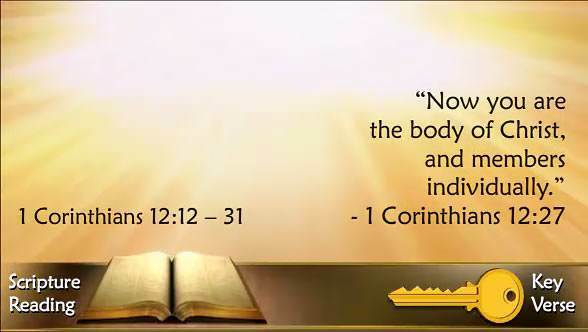 We will see that these things are true of our human body, and they are true also of Christ's body. 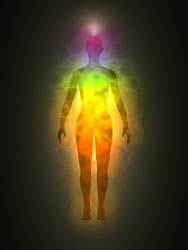 The body has many different members and all are needed. If my eyes are not operating, I cannot see; if my ears are not functioning, I cannot hear; if my legs are not working, I cannot walk. When any member of the body does not function, the whole body suffers a loss. Likewise, Christ's body is handicapped when any member of His body is not functioning. 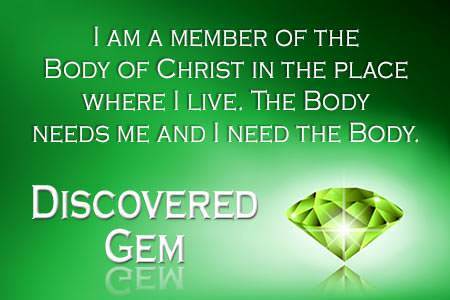 Every believer is a member of Christ's body and has a function that is vital to the body. The Bible says that the body of Christ builds itself up in love "by that which every joint supplies." All members must obey the head. All members must work together. God wants a body—not a lot of single, isolated Christians. The Bible says that we are "one body in Christ." Alone, I cannot serve God effectively. I must work together with other members of Christ's body. Some Christians look at the imperfections in the local church and decide that they do not need the local church. This is a serious mistake. The local church is not perfect—it is made up of imperfect people such as you and I—but it is God's chosen vessel to express the life of His Son here on earth. When the church assembles, every member of the body of Christ has a God-given responsibility to attend and participate. This includes children, young people, and adults. Each member must answer to the Lord for his or her failure to do this. The Bible tells us that in the last days men will be "lovers of pleasure more than lovers of God." How sad it is when God's people allow the fleeting pleasures of this world to draw them away from their place in the local church. The body of Christ not only needs me, but I need the body. I cannot be a strong Christian unless I share in the life of the body. When I meet with the other members of Christ's body, I receive strength and life from the body. 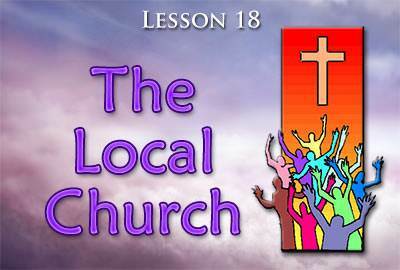 Have we seen God's plan regarding the local church? Have we seen that He wants a body, a whole body, not just a member here and one there? By God's grace, I must see that I am a member of the body of Christ in the place where I live. When that body assembles, I must be there and participate. This is not only a great responsibility, but it is also a great privilege—one which we should not take lightly. 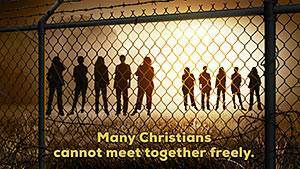 Many Christians do not have the privilege of freely meeting together.